Comet C/2018 Y1 Iwamoto has just made its closest approach to Earth this week. 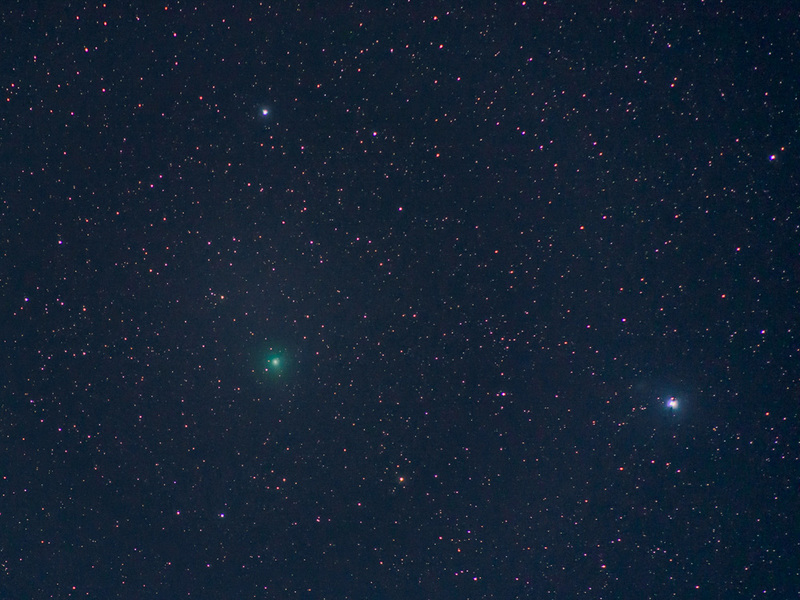 With one evening of clear skies forecasted before the next storm system moves into the area, I went out earlier this week (02/11/2019) to capture images of this fast-moving, blue-green comet. The Moon was up in the western sky with 38% of the disk illuminated. This caused considerable brightening of the sky and made it challenging to capture fine details of the comet. 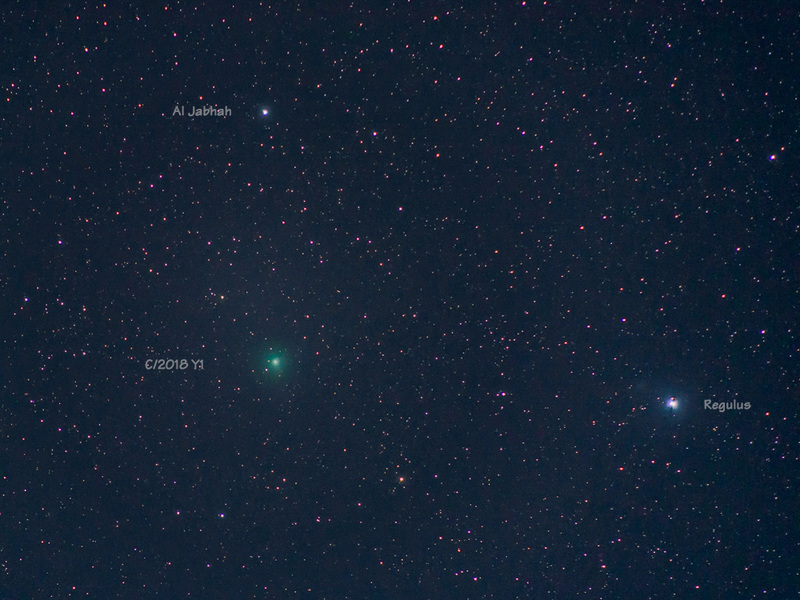 At its closest on February 13th, Comet Y1 Iwamoto will appear to move seven degrees a day. This translates into a fast apparent motion of about 2/3rds the apparent diameter of a Full Moon, every hour. The comet was easy to find with a pair of binoculars but was not visible to the unaided eye. Its position on this evening was near enough to the bright star Regulus that I had no trouble aligning the camera. The following image and animation show the motion of the comet during a period of just over one hour. 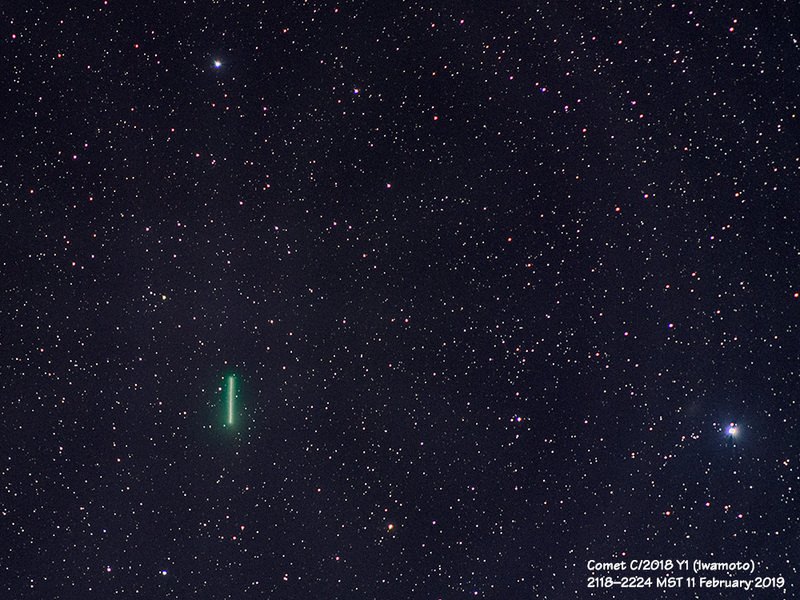 A one-hour composite of C/2018 Y1 (Iwamoto) showing the rapid motion of the comet. Time lapse movie showing the motion of C/2018 Y1 during a period of one hour. 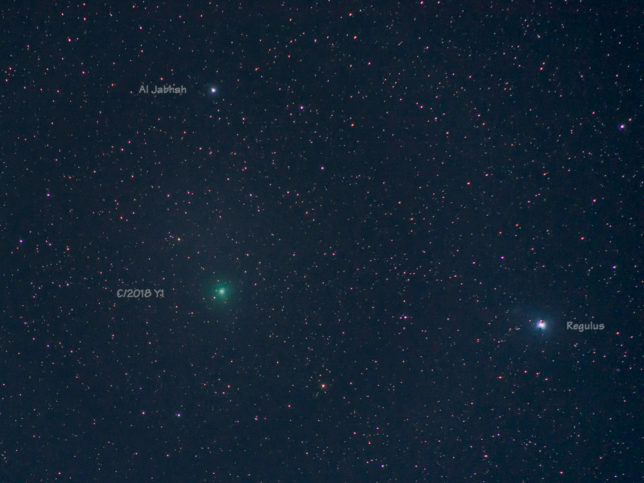 Comet C/2018 Y1 Iwamoto will make its next passage through the inner solar system in 3390 AD.